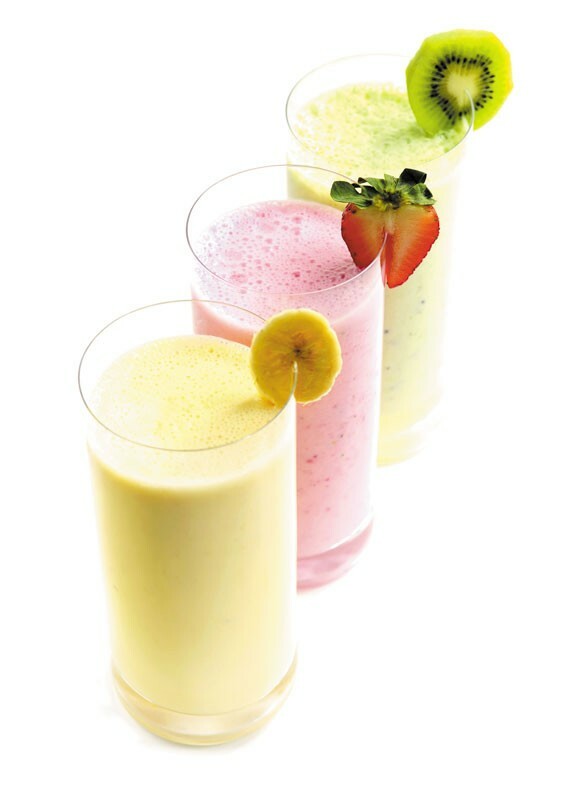 Smoothies are a great solution for people with swallowing problems. Hands-on learning increases retention. Amy Meredith, a clinical associate professor of speech and hearing sciences at WSU-Spokane, decided that even though dysphagia (swallowing issues) are covered in depth in the graduate program, an introduction to the topic makes a good conclusion to her speech anatomy class. And nothing spurs creativity like a little competition. So Meredith has her students prepare dishes appropriate for people with swallowing problems and stages a little Iron Chef smackdown of her own. This year’s entries included smashed sweet potatoes, liquid banana pancakes, red beans and rice and golden mango smoothies. All were easyto- swallow dishes or thickened drinks that provide sustenance and are appropriate for people with swallowing issues. The recipes have been compiled into a cookbook available free of charge at the WSU Spokane website. Between Spokane’s Riverside and Southgate neighborhoods are four miles of city streets, a freeway and an 18-year difference in how long the residents of each neighborhood will live. This is one of the conclusions of a soon-to-be-released Spokane Regional Health District report that quantifies how race, neighborhood, income and education level affect Spokane County residents’ health. By analyzing birth and death certificates and the Washington State Population Survey, among other sources, the district was able to quantify how a person’s health is affected not just by their access to health care, but by the lives they lead. A baby born to a mother without a high school diploma, for instance, is nearly three times more likely to die before its first birthday than one born to a mother with a college degree. Diabetes rates among adults who make less than the poverty level are twice as high as those among adults who make 400 percent of the poverty level or more. And then there’s the gap in life expectancy. According to the report, people in Southgate, which hugs the southeast corner of Spokane’s city limits, live 84 years on average. In Riverside, the neighborhood that encompasses downtown Spokane, it’s about 66 years. Some problems require addressing culture rather than commerce, Dominguez says. She points out the finding that women in the West Central neighborhood are 17 times more likely to smoke while pregnant than women in the Manito neighborhood. “Why is it OK for women to smoke in West Central … whereas if you go to Manito or an affluent area, maternal smoking is not present?” she asks. Surprisingly, for something we all do every day, or night, scientists still aren’t just sure why we sleep. Sure the body needs a rest, but what’s in it for the brain? That’s something Washington State University/WWAMI sleep scientist Jonathan Wisor is hoping to figure out. The brain is like a glucose-burning furnace, gobbling up as much as 25 percent of the body’s glucose, while accounting for only 5 percent of its weight. It turns out that massive energy consumption can leave things a bit of a mess. Armed with at $1.3 million National Institutes of Health grant and new technology, Wisor’s lab will evaluate simultaneous changes in the energy uptake and electrical activity of brain cells during normal waking and sleeping, and in conditions of sleep deprivation in mice. Eventually, “if we can understand what it is about sleep that suppresses the use of glucose and oxygen, we could harness the brains’ ability to sleep when you don’t have enough glucose or oxygen,” situations that can occur with a stroke, diabetic coma or in babies struggling during childbirth.